Some people try to make a very simple argument to get you to believe something: believe in some claim, because there is a consensus of experts saying the claim is true. But you should reject such arguments. The mere fact that a consensus of experts supports some claim does not show the likelihood that such a claim is true. One very general reason why a consensus of experts means very little is that experts may have a vested interest in supporting some particular idea, and may therefore not be impartial, objective judges as to whether such an idea is true. The first definition my computer gives me for “vested interest” is “a personal stake or involvement in an undertaking or state of affairs, especially one with an expectation of financial gain.” There are innumerable reasons why someone may have a vested interest in supporting some idea, some obvious and some not. Here are some examples when the experts had a vested interest in supporting some particular claim. A cardiologist may recommend a CT scan when he works for a practice that owns some expensive CT scanning machine, and profits in proportion to how often that machine is used. Such an expert opinion is tainted and not trustworthy. In early 2003 we had many military and ex-military figures claiming that Saddam Hussein had weapons of mass destruction. Such persons had a vested interest in going along with the rush to war (in which no such weapons were discovered). If such experts had stated the opposite opinion, saying that the US president was wrong in suggesting that Iraq had such weapons, such experts would have been ostracized within their organizations and social groups, facing various types of penalties, given the “war fever” climate that existed at that time. Similarly, someone seeking a position as a university professor has a vested interest in going along with whatever doctrines are currently dominant in whatever field he is studying. For example, if you are doing graduate study in neurology or evolutionary biology, you will be much more more likely to be appointed a professor in such fields if you “tow the party line” rather than taking a maverick position in opposition to most of your colleagues. In the same vein, if you are an expert in Catholic theology, you have a vested interest in supporting traditional doctrines rather than opposing them. There aren't many jobs for heretical professors of Catholic theology. Another reason why a consensus of experts means little is that the pool of experts is not randomly created, and is subject to extremely strong sociological effects that may lead it to poor judgments. In this respect it is interesting to contrast the operations of a jury and the operations of a group of academic experts. A jury is produced from a random selection of people, which helps to protect it from prejudices held by only a minority of people. 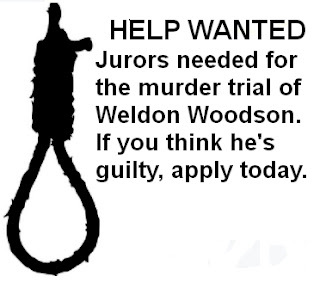 If we pick 12 random New Yorkers to judge a murder suspect, we are unlikely to get mostly people with some bias such as “people of that race are born killers.” But there is no such randomness in the formation of the pool of people who end up becoming experts in some topic. It may be that 90% of the people who choose to study neurology are people who previously tended to have thought biases now found in the community of neurologists; and 90% of the people who choose to study evolutionary biology are people who previously tended to have thought biases now found in the community of evolutionary biologists; and 90% of the people who choose to study Biblical theology are people who previously tended to have thought biases now found in the community of Biblical theologians. The result may be some group that ends up being as biased as the group we might have if we selected juries with “Help Wanted” ads like the one below. Also, juries are exposed to both sides of a case. The prosecution makes its case, and each of its witnesses is cross-examined by the defense attorney. Then the defense makes its case. Both sides make a closing argument. But no such even-handed approach is taken when we are training people to become experts in some particular field. For example, if you study neurology, evolutionary biology, or some type of theology, you are likely to be exposed almost exclusively to those teaching the predominant assumptions of some particular field, with very little exposure to contrasting viewpoints. Once you become an expert in such a field, you are likely to be a kind of “creature of the herd,” a collectivist “organization man” who has been indoctrinated in whatever assumptions have become the sociological norms in some particular subculture. Given such a situation, we should not expect a consensus of opinion within some group of experts to be a very reliable indicator of truth. CNN once had a fascinating show on how people become members of a biker gang. The gang didn't just quickly accept new members requesting membership. It required that people first serve for years as menial helpers, basically doing any favor that one of the gang members wanted. It is easy to understand the rationale of such a policy. Given such a high cost of admission (in labor and time), it is far more likely that a gang member will conform to the beliefs and behavior of the group, rather than risking expulsion or group condemnation by defying its norms. A similar situation occurs in regard to becoming a member of many types of elite expert priesthoods. To become, say, a neurologist, you might have to spend $80,000 on graduate school, plus years of study. Having spent that money and all that time, will our new neurologist challenge the accepted assumptions of the group, or will he fall in line, run with the herd, and conform to the norms within the little subculture he has worked so hard (and spent so much) to get into? He will almost certainly do the second thing. This is another reason why a consensus of experts within a field is not something we should be too impressed by. There are often extremely strong sociological factors that may cause herd effects within a group, so a consensus of experts may be no more impressive than the fact that most of a buffalo herd is running in the same direction. Let's imagine a hypothetical example. Let's suppose there is something called the central doctrine of quonkology, which is advanced by some experts called quonkologists. It might be that 95% of the educated public that has read something about this doctrine consider it to be false. If we were to select the next generation of quonkogists randomly from the public, it would probably be that this central doctrine of quonkology would die. But instead, the next generation of quonkologists will be that small sliver of the population which had a previous tendency to support the central doctrine of quonkology before they signed up to study quonkology, possibly because they shared the intellectual biases and worldview of quonkologists. So can we assume from the favorable consensus of quonkology experts that the central doctrine of quonkology is true? Certainly not. Whether they be secular or religious, collegiate or non-collegiate, the schools that train experts are often bias magnets. Each type of expert training school attracts people with some particular set of intellectual and ideological biases. The people emerging from such schools may have far more of a particular intellectual bias than the average public. This may lead to very high levels of some intellectual bias within each particular pool of experts, which may help to make its collective judgment unreliable. Once a person signs up for the long process of training to be some type of expert, he may find that the training (and the resulting insular community he becomes part of) act as a bias amplification mechanism. We should hardly be surprised that such “bias-amplified” experts may have a consensus of opinion that is way off the mark. If a consensus of experts is not a good basis for believing something, what is? Good solid evidence. When you have good solid evidence for something, there's no need to appeal to the fact that there's a consensus of experts. For example, we don't hear people saying to believe in electromagnetism because a consensus of physics experts believes in it. There's no need for that, since it's much more convincing to explain why neither your body nor your smartphone would work if electromagnetism didn't exist. When we hear people appealing to a consensus of experts as the reason you should believe some idea, it's often the case that the evidence for the idea is weak. In a recent TED talk entitled “Have We Reached the End of Physics?” the particle physicist Harry Cliff talks about two astonishingly fine-tuned numbers that are fundamental to the observed structure of our universe. He repeatedly calls these “dangerous numbers.” This is a very strange description, because as the transcript of the talk makes clear, the numbers have just the right values needed for creatures like us to exist. So why use the word “dangerous” to describe them? Given the facts Cliff discusses, it might be more appropriate to use the term “providential” to describe these numbers. The first number Cliff discusses is the value of the Higgs field, which Cliff describes as a “cosmic energy field.” At 4:05 in the talk, Cliff says this about the Higgs field. This is an extreme case of fine-tuning. Physicists were so bothered by this case of fine-tuning that they spent innumerable hours (plus countless tax dollars) working on a very ornate theory called supersymmetry, designed mainly to explain away this particular case of fine-tuning. But the theory is really just one of those “rob Peter to pay Paul” affairs, as it requires the existence of a whole set of undiscovered particles, the existence of which would be just as big a case of fine-tuning as the fine-tuning that the theory tries to explain away. So far, as Cliff notes, the giant particle accelerator known as the Large Hadron Collider has failed to confirm the predictions of supersymmetry, leaving it in a state that one commentator has described as a deathbed state. You can get a better grip on this idea if you understand that quantum mechanics predicts that ordinary empty space should be teeming with mass-energy, so much so that each cubic meter of empty space should be denser than steel. 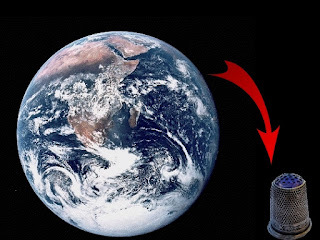 In fact, the quantum mechanics prediction is that each thimble-sized unit of space should have more mass-energy than if the entire Earth were packed into it. So why do we live in a universe so different from that type of universe? Physicists basically have no clue. What if all of these 10 to the 500 different possible universes actually exist out there somewhere in some grand multiverse? Suddenly we can understand the weirdly fine-tuned values of these two dangerous numbers. In most of the multiverse, dark energy is so strong that the universe gets torn apart, or the Higgs field is so weak that no atoms can form. We live in one of the places in the multiverse where the two numbers are just right. We live in a Goldilocks universe. This is basically an “anthropic principle” explanation, the idea that we can explain some lucky number in our universe simply on the grounds that if it didn't have such a number, we wouldn't exist. But unless some willful causal agent is introduced within such an explanation, such an explanation is untenable, because you can't naturally explain something merely by referring to something else that came eons later. Causes come before effects, not after them. If event X occurred millions of years after effect Y, we cannot explain effect Y merely by referring to event X. The universe's level of dark energy and the numerical value of the Higgs field are effects that existed billions of years before life appeared, and we can't explain such effects naturally merely by referring to something that came eons later (the appearance of life). I may add that the multiverse does nothing to fix the bad reasoning of trying to explain an effect by referring to something that came eons later. Nor would the existence of a multiverse make it more likely that our particular universe would have the right numbers by lucky coincidences, since the probability of success on any one random trial is not increased by increasing the number of random trials. Moreover, while Cliff uses the statement “suddenly we can understand the weirdly fine-tuned values of these two dangerous numbers,” his previous statements contradict that. For based on what he said earlier, a dark energy level of the type we have (very, very low) should not just be incredibly improbable but actually impossible. For quantum mechanics predicts (according to Cliff) that dark energy should be billions of trillions of quadrillions of quintillions of times greater than it is. So apparently according to quantum mechanics, the chance of a universe such as ours is not just very, very low, but actually zero. Multiverses actually are not of any value in explaining the incredibly improbable, and they certainly are of no value in explaining a reality that seems to have a natural probability of zero. See here for more on the "vacuum catastrophe" discussed by Cliff. Some of our modern physicists and cosmologists are infatuated with the idea of the multiverse, that there may be many other universes beyond our own. There is no sound scientific basis for such an infatuation. For one thing, the multiverse is typically imagined as a group of universes that are completely isolated from each other, without agents from one of these universes entering into or influencing another universe. 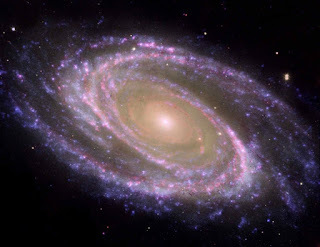 Given such an arrangement, there is no possibility of someone in one universe being able to verify the existence of some other universe or to make observations of it or to verify that some effect in his universe was produced by some other universe or some agent in that other universe. Another reason why the concept of a multiverse is not scientifically solid is that it has no explanatory value. If the other universes in a multiverse are isolated from our own, the idea of a multiverse is worthless for explaining any of the phenomena in our universe. We also cannot explain the fine-tuning of our universe by imagining the existence of many other universes. This is mainly because of the simple fact that the probability of success on any one random trial is not increased by increasing the number of trials (for example, you don't increase your chance of winning the lottery with any particular lottery ticket if you buy lots of tickets). So a multiverse would not make it more likely that our particular universe would have been so fine-tuned by chance. The chance of our universe having suitable characteristics by pure chance does not increase by even 1 percent if there are an infinite number of universes. See here for a fuller explanation of why the multiverse idea is not suitable for explaining cosmic fine-tuning. The idea of a multiverse (as typically imagined) is therefore metaphysical and useless. But is there some leaner and more parsimonious concept we might formulate involving some other universe – perhaps some concept that might be of some explanatory value? It seems there is. Let us imagine what I may call the paraverse. The term paraverse is formed from the end of the word “universe” and from the prefix “para,” which means “beside” or “to the side of.” We can define a paraverse as some hypothetical realm of existence that is in some sense connected to our universe in a way that allows information and causes to flow between our universe and this other realm of existence. The multiverse concept postulates many other universes, while the paraverse concept postulates only a single other realm of existence. 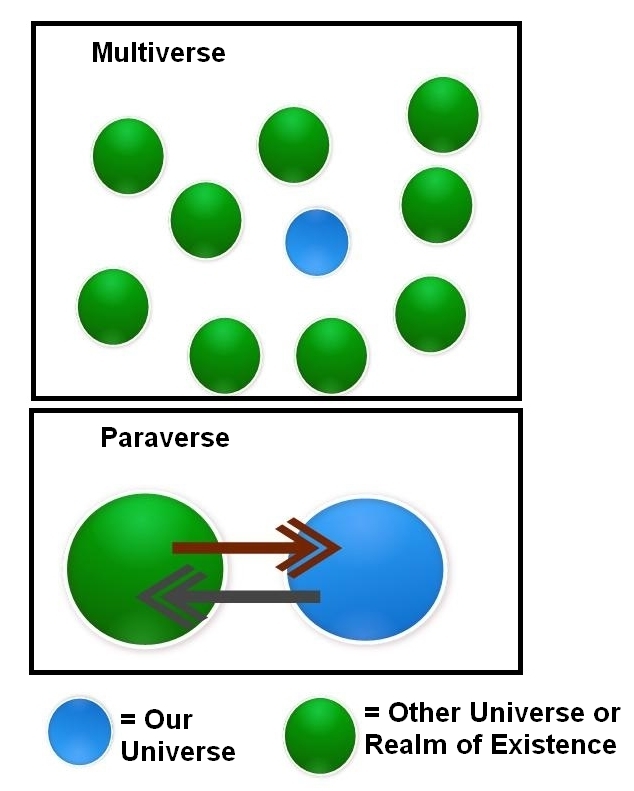 The multiverse idea typically postulates universes that are completely isolated from each other, without communication or interaction between any two of the universes; but conversely the paraverse concept says there may indeed be interaction or communication between our universe and some other realm of existence, with perhaps causes and effects sometimes flowing between the two. The visual below illustrates the difference between the two ideas. The arrows represent interaction or communication. In imagining a paraverse we should be as flexible and open-minded as possible. A paraverse might be a very physical place such as we know. Or it might be some very different ethereal existence very different from our existence. Beings living in a paraverse might be biological beings, or they might be beings of energy or purely spiritual beings. 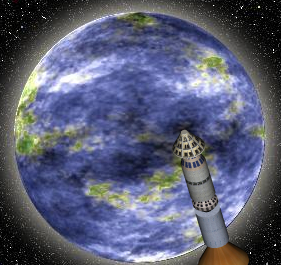 There are various possibilities regarding interaction between a paraverse and our universe. Such interaction could flow purely from the paraverse to our universe, without anyone in our universe being able to influence or visit anyone in the paraverse. Or there could be two-way interaction between our universe and the paraverse. Conceivably a mind in our universe could somehow be able to visit or even migrate to the paraverse. Given such possibilities, you might ask: why even use such a term as “paraverse,” when we might use older terms such as Heaven or the Other Side? One reason might be to be more general and open-minded in your consideration, and to avoid previously established religious associations. The term “Heaven” has all kinds of associations with Christian theology, while the term “the Other Side” has various associations with spiritualist thinking. Without excluding either, someone might prefer to use the word “paraverse” to be more general, without locking into some particular set of assumptions. The term “paraverse” does not specifically imply some belief in life-after-death, although the concept may be quite compatible with such a belief (as life-after-death might possibly occur in some type of paraverse being considered). The fact that we do not observe such a paraverse with our eyes or our telescopes is no basis for excluding the possibility of such a paraverse. Our eyes can see only a small fraction of the electromagnetic spectrum, and we can't see much of the substance in our universe. Scientists tell us most of the universe is made of the dark energy or dark matter we can't see. There could be many types of substance or mass-energy, each of which is visible only to beings made of that type of mass-energy. For example, if we are made of the seventh type of mass-energy, we might be able to see only the seventh type of mass-energy, and no other type. Standing right next to you, unobserved, might be beings made out of the other six types of mass-energy, which might be able to pass through you like neutrino particles are constantly passing through our bodies, unnoticed. Can we consider this paraverse concept as a scientific hypothesis? Absolutely. Arguments against such a claim do not stand up to scrutiny. One rather ridiculous argument goes along these lines: we must reject the idea of some other world or unseen powers that influence our own world, because once we accept such an idea we would have to throw away our science textbooks and start over. This type of statement is just absurd. I think that 98% of the text in our current science textbooks could be preserved unchanged even if we were to find that some external influence outside our world was influencing our world. Topics such as geology, chemistry, anatomy, physiology, zoology, and many others would need no revision, nor would there be much change in topics such as physics or astronomy. Another weak argument against the paraverse possibility goes along these lines: in order for scientists to do science, they must make the assumption that the causes of physical phenomena are solely in our own universe. This argument is invalid, and is really just what we may call an argument from inconvenience. The argument refers to a situation of maximum convenience for the scientist (one in which all causes come only from within our universe), and we are kind of nudged to think that because some other situation would be inconvenient for the scientist, it would make science impossible. But that it is not persuasive. A pharmacist could make a similar argument, arguing fallaciously: in order for pharmaceutical scientists to do science, they must make the assumption that bodily conditions are determined purely by the pills patients take. But such an argument would not be valid. The fact that it is inconvenient for a scientist to have to consider a very wide spectrum of causes for things does nothing to exclude the possibility that there may actually be such a very wide spectrum of causes for things, including some causes from some realm of existence outside of our own. The truth or falsity of a hypothesis should not be judged by whether such a hypothesis is inconvenient for a scientist or anyone else. Could the hypothesis of a paraverse be of any explanatory value? Indeed, it might be. There are a great number of anomalous observations and experiences that we might help to explain through a concept of a paraverse: certain types of UFO experiences, near-death experiences, mystical experiences, photographs of anomalous visual phenomena such as orbs, and perhaps also certain types of mediumistic phenomena. There is significant evidence that people in our universe have encounters with phenomena that are very hard or impossible to explain. Swept under the rug by our reality-filtering skeptics, such evidence may point to the existence of some unseen paraverse that may causally influence our own universe. According to the computationalism theory of the human mind, the mind is like a computer, and one day we will be able to develop computers that produce outputs just like human consciousness. Such a theory is assumed by most proponents of the Singularity, the idea that there will before long be an “intelligence explosion” which results in machines with intelligence far beyond our own. Such proponents write books with titles such as The Age of Spiritual Machines. Such theorists usually don't tell us that they are advancing the computationalism theory of the human mind. They usually just pronounce the dubious ideas of such a theory as if such ideas were self-evident. But the computationalism theory of the human mind is not valid. To explain why, let us look into what happens when computers compute. The following equation covers most of the types of computation that occur. But there are two things that we can never hope to produce as digital outputs. The first is real conceptual understanding, and the second is experience. By understanding I don't mean “how-to” type understanding, but the high-level conscious understanding of some abstract truth or concept. By experience I mean an actual human experience, such as the life-flow you experience during an hour of your life. We can imagine no possible way to produce a digital output that would equal a real conceptual understanding of something. Nor can we imagine any possible way to produce a digital output that would equal something like a human experience. Imagine a conversation like this 200 years from now between a programming supervisor and a programmer who has been doing his job for over a century (thanks to the marvel of life-extension pills). Boss: Well, I've got an interesting new assignment for you. I want you to compute an interesting new output. Programmer: This should be a breeze. I've already done functions that compute 12,000 different text outputs, 15,000 different numerical outputs, 25,000 different image outputs, and 4000 different video outputs. Boss: This time I want the computer to produce waterfalls and Swiss cheese. Not just pictures, but the real things. There might be a similar conversation if the boss asked the programmer to produce understanding or experience as the outputs. Just as waterfalls and Swiss cheese are not digital outputs, real conceptual understanding and experience (a slice of life-flow) are not digital outputs. You can make outputs that might mimic some understanding someone might have, but you cannot produce real conceptual understanding as a digital output. You can make outputs that might mimic some sight someone might see while having an experience, but you cannot produce actual experience (a slice of life-flow) as a digital output. The third thing you can expect before the year 2100 is the development of generalized artificial intelligence (GAI). In other words, machines that don't just play games like chess or Jeopardy, but can do the thinking required for any white-collar job, including all the ones at the top. Such a prediction is based on the idea that future computers will be able to produce conceptual understanding as an output. 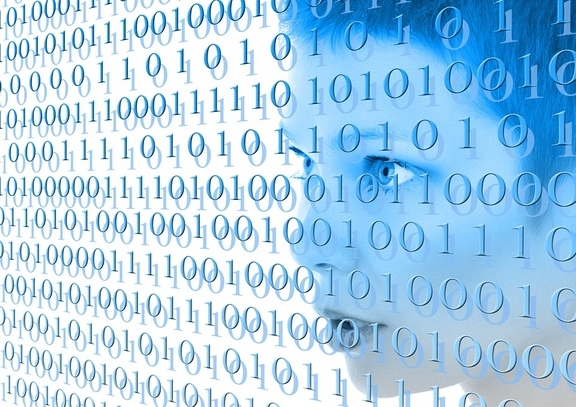 They won't, because real understanding of abstract concepts is not a possible digital output, and digital computers will only be able to produce digital outputs. Postscript: Digital computers translate inputs into digital content, and translate outputs into content that may not seem digital. 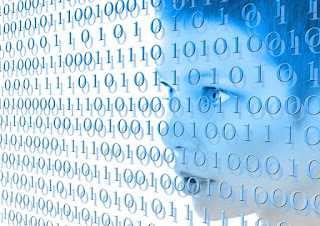 For example, a compiler translates English-like computer code into digital inputs a computer can understand, while a purely digital output may be translated into something that doesn't look digital. But at the lowest level inside the computer, it's all digital. One of the central problems of explanation is the problem of explaining the human mind and human consciousness. One facet of this problem is explaining the human mind from an evolutionary standpoint. There are aspects of the human mind that seem to serve no purpose from a standpoint of increasing human survival value or reproduction (as discussed here). So how can can we explain such aspects merely through natural selection? Another facet of the problem is what is called the hard problem of consciousness, the riddle of how mere matter can give rise to Mind, something that seems to be totally different. To many, the idea of mere matter giving rise to Mind has seemed as unlikely as the idea that you might get blood to pour out of a stone if you squeezed or jiggled around the stone in the right way. Our materialist thinkers stumble about when posed with this dilemma. Sometimes what happens is that they retreat to a denialist standpoint that is completely absurd. A materialist thinker may claim that consciousness itself is just an illusion. This is a nonsensical nadir that is a symptom of a failing worldview. What is the one thing we can be absolutely certain of – not 99.9999% certain, but 100% certain? Not any of the findings of science, but the mere fact of our own consciousness. You see, there's just the tiniest sliver of a chance that your assumptions about what exists might be totally overthrown by future experiences. Let's use our imagination to think of how that could happen. I'm sorry, but the illusion you have been used to is now over. We've run out of funding for the “human experience simulation.” I know you've become convinced that there are things such as the earth, the moon, the sun, and the United States of America. But no such things have ever actually existed. They are merely elements that we added to the “human experience simulation” that we were sending into your mind. Something like this is very unlikely to happen, but not quite impossible. But there is one fact that you should be 100% certain about (not merely 99.9999% certain), and that is that you have some kind of consciousness, some kind of conscious experience. Everything around us might be an illusion, but our consciousness itself is an utterly certain reality. But there are some people who have no limits on what absurdities they can fly to in defense of their misguided worldviews. Some of these people have actually claimed that consciousness does not exist, that it is just an illusion. We can call this consciousness denialism. It is a form of denialism that is more intellectually bankrupt than any type of denial that is commonly criticized. Consciousness denial is a position far more ludicrous than the position of heliocentrism denial (the denial of the position that the sun is the center of the solar system). We just might have some weird sci-fi experience one day that leads us to think that the sun isn't really the center of the solar system (something like the weird possibility discussed above), but we could not possibly have any experience that could justify the belief that consciousness does not exist. Let me be as clear as possible: Consciousness doesn’t happen. It’s a mistaken construct. Graziano cites no scientific findings to support this claim, nor does he cite any facts or scientific papers to support his claim. This is hardly surprising. We cannot imagine any possible observations or experiments that would ever justify the claim that consciousness does not exist, any more than we can imagine some observation that would prove that 2 plus 2 equals 5. Graziano claims most erroneously that consciousness is "no longer a fundamental mystery.” When he says that the mind is a “trillion-stranded sculpture made out of information,” he implies that consciousness is just information. He's wrong. A library of books has lots of information, but not the slightest consciousness. Consciousness includes experience, or a mental reality of life-flow; and experience or life-flow is something vastly more than just information. If consciousness was just information, then you would be as conscious when you are sleeping as you are when you are awake (with the same information stored in your memory); but that's obviously not the case. Although Graziano is a scientist, when writing this piece he was not wearing his scientist hat. He was wearing his philosopher hat. I've always felt that philosophy is the birthright of every human, so I will not begrudge his attempt to play philosopher. I will merely point out that by claiming “consciousness doesn't happen,” he has reached the second most absurd philosophical conclusion anyone could make. There is only one way you could do worse, and that is to write in defense of the position that absolutely nothing has ever existed: no matter, no energy, no minds, and no thoughts. But perhaps a position like that will be the next step for our reductionists. 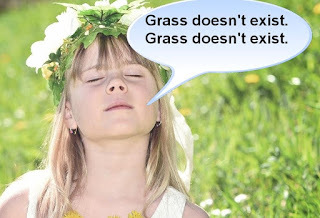 Just as they have tried to remove the problem of consciousness by claiming that consciousness doesn't exist, perhaps they will next try to remove the problem of the sudden origin of the universe by claiming that the universe doesn't really exist. That would be only a little more ridiculous than the absurdity of consciousness denial. Postscript: Mr. Graziano has a more reasonable-seeming discussion of the topic of consciousness at this link. In the year 2050 scientists developed an Immortality Injection that was guaranteed to keep the body young for centuries. Only the rich could afford the injection, which cost 30 million dollars. But after a few years a path was opened that would allow an average person a small chance of getting the Immortality Injection. That path was a reality TV show. The show was the ultimate implementation of a “winner take all” concept. The first episode would start out with 50 contestants, and in each show some of the contestants would be killed off – literally. The contestants faced such dangers in each episode that it was guaranteed that some of them would die in each episode of the series. Ever since the 2030's it had become common for deaths to occur in reality TV shows. Some people still complained about it, but the public had become very apathetic about seeing people die in reality TV shows. The public had become like the ancient Romans in the Coliseum: they expected to see some deaths as part of their favorite entertainment. The idea of the series was simple: start out with 50 contestants, and expose them to incredible dangers. In each episode, some would die. By the last episode there would be only two contestants left; and after their final competition, there would only be one contestant surviving. That person would get the ultimate prize: the Immortality Injection. Two friends named Ted and Alex debated whether to apply to be a contestant. The first episode was a treasure hunt. Each contestant had to run around a big field filled with various obstacles, getting each of the items on a treasure list. But there was one little problem. The field was filled with land mines. If you stepped on one, you would be blown up into 100 pieces. Eight of the contestants stepped on the mines, and died. But Alex and Ted made it through with 40 other contestants. In the second episode each of the contestants was given a car, and asked to drive on one of the most dangerous roads in the world, a road running along the narrow rim of some mountains in the Andes mountain range. Nine of the contestants plunged to their deaths, when their cars went over the side of the road, rolling down for hundreds of meters before finally exploding. But Alex and Ted made it through, with 31 other contestants. The third episode was the lightning run. Each contestant had to run back and forth down a specially constructed runway. Above the runway was an electrical system that would randomly generate blasts of electricity that could kill you with 12,000 volts. Ten of the contestants died. But Alex and Ted made it through, with 21 other contestants. The fourth episode was called: “Swim With the Sharks.” Each contestant had to swim though a huge swimming pool, and retrieve a series of items that were either floating about or lying on the bottom of the pool. The problem was that there were also two hungry sharks swimming about. Seven of the contestants died, after being bit by the sharks. But Alex and Ted made it through, with 14 other contestants. Both Alex and Ted figured out that the secret for winning was to swim down to the pool's bottom, and pick up a sword that could be used to defend yourself from a shark attack. The fifth episode was filmed at Niagra Falls in New York State. Contestants were put in boats and told to row across a body of water near the falls. If they didn't row fast enough, they would plunge down the falls to their deaths. Eight contestants failed to row fast enough, and fell down the waterfall to their deaths. But Alex and Ted and 6 other contestants survived. The sixth episode was centered around racing. Each contestant was put in a specially constructed car which had its accelerator remotely controlled. The cars were accelerated by remote radio signals to speeds of 120 miles per hour. Each contestant had to drive through a forest, without crashing into a tree. Six of the contestants died in car crashes. The only remaining contestants were Alex and Ted. There was one more episode to determine the grand prize winner. The two friends discussed their strange situation. “Let's keep our fingers crossed,” said Ted. The final episode took place in a kind of arena with a circular pit at its center. Alex and Ted were put in the circular pit, each armed with a six-shooter. A hungry lion was let loose in the pit. Surrounding the circular pit was an audience of thousands of spectators. Alex tried to shoot the lion, but it ran around too fast, and evaded the bullets. Alex was soon out of bullets. The lion stood before him, growling as if it was about to charge. “Kill it with your gun!” said Alex. He knew Ted still had all six of his bullets. Ted thought about the prize. He knew he had signed a contract saying that the immortality prize would be given to only one person. If he saved Alex, he would lose his chance for immortality. After hesitating for a moment, Ted put his gun back in his holster. He couldn't bear to see what happened next, so he turned his eyes away. After ten more seconds of Alex's unanswered pleas, the lion charged, and killed Alex. The Master of Ceremonies declared that Ted had won the grand prize of immortality. But at that moment, Ted felt a great surge of guilt and grief. What had he done? How could he have been so selfish? He thought back on the great times he had as a kid with his childhood friend Alex. They had been through a lifetime of adventures and misadventures together. Now Alex was dead, eaten by a lion. Ted could have prevented it, but he didn't. Filled with remorse, Ted felt like using his six-shooter to shoot himself. But then someone came and took his gun away. A doctor arrived on the scene, carrying a syringe. It was the Immortality Injection. After various fanfares and flourishes, the Master of Ceremonies announced what would happen next. 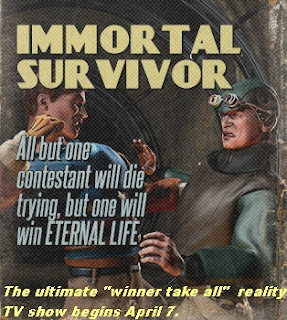 “And now the grand prize winner and sole survivor will be given the Immortality Injection, which will give him the blessing of Eternal Life,” said the Master of Ceremonies. There was a good deal of exaggeration in such a statement, and the “immortality” would probably not last longer than a few centuries. But this kind of hype was almost standard procedure in this type of entertainment spectacle. When Ted saw the syringe containing the Immortality Injection, he suddenly got an idea for how he could partially atone for his terrible sin. He grabbed the syringe from the doctor, and walked out of the circular pit at the center of the arena. He went walking into the audience. The Master of Ceremonies and a person with a hand-held camera followed him. Ted thought to himself: Who can I pick? Not one of these rich spectators who spent $1000 to buy a ticket to watch someone being eaten by a lion. None of them deserve it. Then Ted spotted someone at the back of the arena. It was a young cleaning woman who was emptying one of the garbage cans. Ted walked up to the beautiful young woman, a complete stranger. “Hey there,” Ted said. “You wanna live forever?” he asked. The young woman smiled and nodded. Ted took the Immortality Injection, and injected the entire syringe into the woman's arm. Ted walked out of the arena, into the cold of the dark littered streets. All his efforts had got him nowhere. But at least at the end he had got back a little piece of his soul. As part of their efforts to keep us believing that we live in a bland universe (what we might call a three-flavor universe), and not a funky universe rich in paranormal phenomena (what we may call a 64-flavor universe), various people engage in what we might call anomaly denial. Such figures tend to repeat the same lame excuses and catchphrases again and again, to try to dismiss strange observations that don't fit in with their tidy sanitized worldviews. Let's look at some of these catchphrases, and see why they are mainly just vacuous rhetorical devices. This is such a sweeping dogmatic statement that it can be immediately dismissed as an overreaching absurdity. Not only does the statement claim that some particular type of anomalous phenomena doesn't occur, it basically asserts that no paranormal phenomena ever occurs. One way to rebut the claim is to remind someone that the universe began in the most anomalous, unusual way imaginable (according to scientists, the universe suddenly burst into being from an infinitely dense point). Then say: “Things this odd apparently have been happening from the very beginning of time.” Another good rejoinder to the claim “things like that don't happen” is merely to ask: how do you know? One reason that this claim is not very persuasive is that the universe is full of mysteries that scientists don't understand, such as the Big Bang, dark energy, dark matter, and quantum entanglement. Another reason that this claim is not very persuasive is that investigating the paranormal seems to be almost a cultural taboo for the great majority of scientists. Since most scientists have pretty much declared a “hands off” policy in regard to the paranormal, there is no reason why we should expect them to understand anything relating to the paranormal, even if it existed. Similarly, if I refuse to look into the topic of quantum chromodynamics, you should not expect me to understand it. This is a kind of loaded question similar to a question such as, “Have you stopped beating your wife?” The person who asks the question hopes that the person will answer, “No,” and thereby exclude the paranormal possibility. But if the person answers, “Yes,” he is then put in the position of asserting his own belief in nonsense. A good reply this type of question is to say something like: it's illogical to deny the possibility of something when evidence for such a thing appears. In general, science does not warrant claims that particular anomalous phenomena are impossible. Almost the only claims that are impossible would be those that assert the nonexistence of something science has proven. So claims such as “carbon doesn't exist” or “gravity doesn't exist” are impossible, according to science. But science in no way excludes most of the anomalous phenomena people claim to have observed. Some may think that it is real scientific to immediately reject some report or claimed observation that does not match the expectations of scientists. But that usually isn't scientific, but instead the opposite of scientific. A good scientific procedure is to accept any observation or possible observation relating to a hypothesis, and to store that observation in a set of observations that will be considered whenever that hypothesis is to be considered. You could describe such a policy with this slogan: bank it, don't bunk it. In other words, rather than immediately dismissing an anomalous observation with some lame excuse such as “things like that don't happen,” you should “bank” an observation by putting it somewhere where it might be “withdrawn” for further scrutiny when the topic is under further analysis. This catchphrase is useful for trying to wipe out evidence for various anomalous phenomena such as apparitions, near-death experiences or UFO's. You can rebut it by pointing out that hallucinations can reasonably be attributed only to people with chronic mental illnesses or people under the influence of alcohol or drugs, and cannot be reasonably attributed to people who are in a deep state of unconsciousness. I am using here the proper definition of hallucination: an apparent perception (such as seeing something or hearing something) that comes without any external stimulus that produces it. This is an appeal to what is basically a bogus possibility, the possibility that your eyes suddenly malfunctioned, and caused you to think you were seeing something that you weren't seeing. Since the human eye is a remarkably reliable instrument, this isn't a believable rejoinder. Unless you have chronic vision problems, your eyes will never “play tricks on you,” although your mind may misinterpret some information that your eyes send you. This is like the “your eyes must have been playing tricks on you” statement, but involves a camera rather than an eye. It's just as weak a statement, because modern digital cameras are very reliable things that virtually never have one-shot malfunctions that might be interpreted as evidence for the paranormal. If you think an optical illusion is a plausible explanation for an anomalous observation, ask yourself: when was the last time you can remember seeing an optical illusion? It's probably some optical illusion you saw in a book. That's because optical illusions are pretty rare in nature. This is basically an appeal to a sociological or cultural taboo. The person using the catchphrase is basically reminding you that within some particular subculture, there are penalties or sanctions for believing in something like the anomaly being considered. A rejoinder is to point out that acceptance of an anomaly should be based on evidence, not on taboos. One can counter this catchphrase with this observation: nature loves weirdness. And, of course, it does. Almost all of the things that might be dismissed as “too weird to be true” are not half as weird as some of the things scientists believe in, such as the weird rules of quantum mechanics, quantum entanglement, black holes, neutron stars, and the sudden origin of the universe in a singularity. A good way to rebut such bigotry is just to ask: what evidence do you have to support that statement? When used to dismiss some anomaly photograph, a comment such as this is basically equivalent to accusing the photographer of being a complete moron. Lens smudges keep producing the same effect until the camera is cleaned. Only the most careless and dimwitted photographer would fail to notice that such an anomaly was occurring in each photo. Also, lens smudges cannot be used to explain anything other than a blurry blob, because the camera cannot focus on anything on the lens. Dust isn't big enough to produce photographic anomalies when a photographer shoots in ordinary air. The particle sizes of outdoor dust particles are only about 1 micron, which is about one fifteen thousandth (1/15000) of the area right in front of the lens. That's hundreds of times too small to produce a decent photographic anomaly. If the dust in ordinary air were sufficient to produce photo anomalies, almost every flash photo would show such anomalies. This excuse is used to explain away anomalies in photos taken in space or on Mars. It isn't a very persuasive excuse when the anomaly occurs on the exact horizon or when the anomaly seems to have more structure than we would expect a passing cosmic ray to produce. Below is an example of a anomaly explained as a "cosmic ray hit." We see what looks like a luminous figure. The original NASA photo can be seen here. The figure appears exactly in front of the landing site where one of the Mars rovers was deployed from. What are the odds against a cosmic ray hitting in that exact spot, to create what looks like a figure with legs?